I took “Walking Pittsburgh: The Ultimate Walking Tour of Downtown Pittsburgh,” a Publication of the Pittsburgh Post-Gazette on a cold December day. I often slide into jaded mode: living and working in a city rejecting being a tourist. Nope. I am going to get to know my new city even if I creep along doing it. So I started off with a friend on a cold day in December on a walk in downtown Pittsburgh. 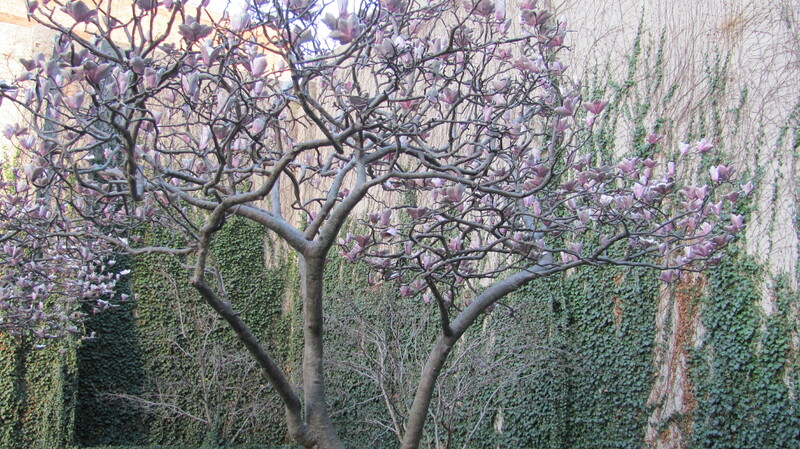 The surprise: we discovered magnolia trees with buds in the Theater District in the dead of winter. Turns out to be a sculpture. Fooled me. My walk, my narrative started at the middle of the walk because I was entranced and bedazzled by those magnolias. I was born in New York but the South runs ruby-red in my veins. Going back to the beginning, the first part of the walk had us at Point State Park. 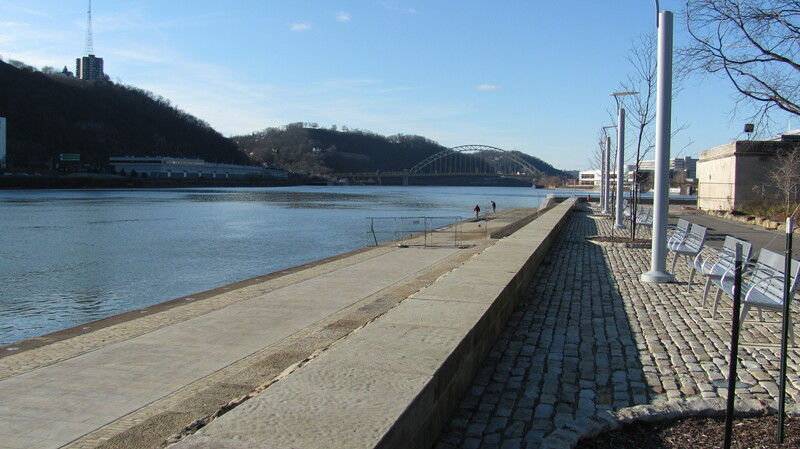 I stood at The Point where the Three Rivers meet: the Ohio river forks into the Allegheny and Monongahela rivers in Pittsburgh. I wondered how many African Americans stood there before me, before The Point became Point State Park in 1974. I imagine the long history of Pittsburgh going back to the French and Indian War (1754 to 1763) to the American Revolution (1775–1783). Some African Americans were indentured servants, others enslaved, and a few actually served in the military. I am sure some gazed at the Three Rivers just as I did. Instead of concrete, asphalt, and steel, they saw many more trees. I imagine an African American man in a buckskin coat and leggings with musket in hand sitting under a river birch. We made it to the Strip District, the last leg of the walk. The sky was gray, the air grew colder. Regrettably, we turned back retracing our steps. Next is the Cultural District, Grant Street, Mid-town, North Shore, and Market Square. I’m headed to Station Square this weekend. I found a Visit Pittsburgh: African American History Guide. I’m thinking those walks will wait for the spring, after the winter thaw. Pittsburgh is a walking city. I love that kind of city. Washington, D. C., Philadelphia, and Chicago are much the same. Even Los Angeles has pockets of great walking including beach cities like Venice and Santa Monica. Downtown Los Angeles has some wonderful spots for strolling–Chinatown the garment and business districts, Little Tokyo, Pueblo, and the Staples Center to name a few places–though some might disagree because of crime and safety issues. City→(Earth to water to sky to vegetation to food to animals to people)←City.